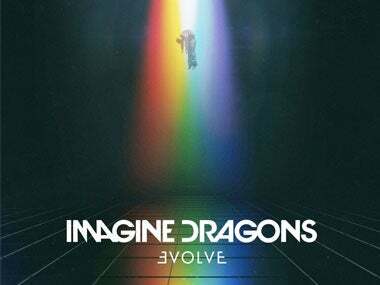 Imagine Dragons released their latest album, “Evolve” this June 23. The tracks range from highly electronic to the typical anthem-like songs they produce. Regardless of your mood, “Evolve” definitely has you covered. Here are our 5 favorite tracks from the album! This song has an edgy vibe with a quick pace. The verse resembles a rap song while the chorus is more soft rock, with a heavy build from the pre-chorus. It's a tune that makes you want to move! This track is light-hearted and the perfect summer jam. It has a deep house and electronic feel that provides easy listening. "Believer" has the typical Imagine Dragons sound to satisfy the truest fans. It perfectly combines electronic and rock genres - as the group does best. The chorus has the catchiest drops that will have you head banging the entire song. For a softer tune, go no further than “Walking The Wire”. It has acoustic guitar, which provides a beautiful sound, juxtaposed with the up-beat chorus. It's the perfect song to belt out with your friends. Though this song isn’t yet one of their most "popular", it is easily one of the catchiest. It combines their electronic sound with an R&B feel for a jam that will have you mesmerized. Listen to these songs and more of Imagine Dragons on our Spotify playlist!